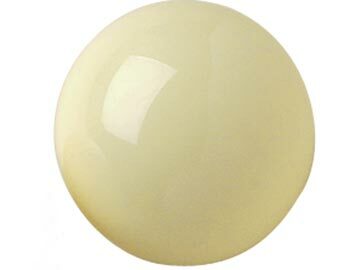 This oversized ball is approximately 2 1/4" in diameter. This slight difference in size allows the cue ball to be separated before it gets to the storage compartment. For use with a coin operated table.